On the 23rd (Fri), enjoy the sand and surf at Plavi Horizonti Beach, then explore the activities along Bay of Kotor, and then pause for some serene contemplation at R.K.C. Gospa od Škrpjela. To find traveler tips, more things to do, ratings, and more tourist information, read Kotor road trip planning tool . Bogota, Colombia to Kotor is an approximately 23.5-hour flight. You'll lose 6 hours traveling from Bogota to Kotor due to the time zone difference. Prepare for somewhat warmer weather when traveling from Bogota in September: high temperatures in Kotor hover around 31°C and lows are around 16°C. 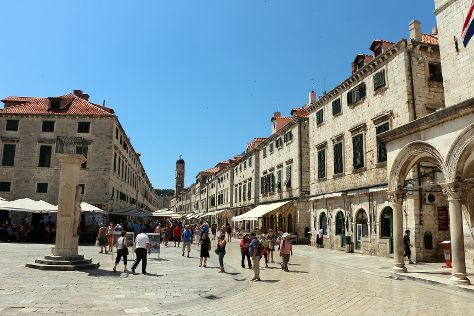 Finish your sightseeing early on the 23rd (Fri) to allow enough time to drive to Dubrovnik. On the 24th (Sat), wander the streets of Old Town. Here are some ideas for day two: delve into the distant past at Walls of Dubrovnik and then examine the collection at War Photo Limited. For maps, reviews, ratings, and other tourist information, you can read our Dubrovnik trip itinerary maker app . You can drive from Kotor to Dubrovnik in 1.5 hours. Alternatively, you can take a bus. Traveling from Kotor in September, Dubrovnik is a bit warmer at night with lows of 20°C. Finish your sightseeing early on the 25th (Sun) so you can travel to Hvar. On the 26th (Mon), get great views at Spanjola, then contemplate in the serene atmosphere at Franciscan Monastery, and then wander the streets of Milna. On the 27th (Tue), you'll have a packed day of sightseeing: tour the pleasant surroundings at Dubovica and then tour the pleasant surroundings at Zavala. To see photos, more things to do, maps, and more tourist information, refer to the Hvar online trip maker . Traveling by ferry from Dubrovnik to Hvar takes 4 hours. Alternatively, you can do a combination of car and ferry; or do a combination of bus and ferry. Expect a daytime high around 31°C in September, and nighttime lows around 21°C. Finish up your sightseeing early on the 27th (Tue) so you can catch the ferry to Split. 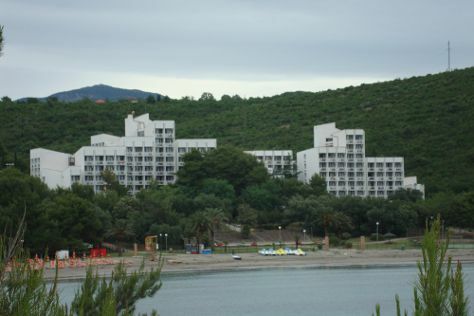 Step out of Split with an excursion to Brela Beach in Brela--about 1h 10 min away. The adventure continues: appreciate the extensive heritage of Diocletian's Palace, explore the world behind art at Galerija Mestrovic, learn about winemaking at Putalj Winery, and contemplate in the serene atmosphere at Cathedral and Bell Tower of St. Domnius. To see other places to visit, traveler tips, more things to do, and more tourist information, read our Split journey builder tool . You can ride a ferry from Hvar to Split in 1.5 hours. September in Split sees daily highs of 30°C and lows of 19°C at night. Finish up your sightseeing early on the 30th (Fri) so you can travel to Florence. Start off your visit on the 1st (Sat): kick back and relax at Easy Living - Spiaggia sull'Arno, then admire the masterpieces at Uffizi Galleries, and then snap pictures at Ponte Vecchio. On the 2nd (Sun), you'll have a packed day of sightseeing: see the interesting displays at Academy Of Florence Art Gallery, take in the spiritual surroundings of Cathedral of Santa Maria del Fiore, then take some stellar pictures from Piazzale Michelangelo, then take an in-depth tour of Basilica di Santa Croce, and finally take in panoramic vistas at Campanile di Giotto. To find reviews, where to stay, more things to do, and more tourist information, read our Florence route builder app . You can do a combination of flight and train from Split to Florence in 6.5 hours. Alternatively, you can fly; or do a combination of ferry and car. September in Florence sees daily highs of 30°C and lows of 17°C at night. Wrap up your sightseeing on the 2nd (Sun) early enough to take a train to Bologna. Kick off your visit on the 3rd (Mon): contemplate in the serene atmosphere at Basilica - Santuario di Santo Stefano, then enjoy breathtaking views from Torri degli Asinelli e Garisenda, then get a taste of local nightlife at Caffe Rubik, and finally savor the flavors at Food & Drink. Here are some ideas for day two: contemplate the long history of Basilica di San Petronio, learn about winemaking at Azienda Agricola Botti di Bovina Fabio, and then relax and rejuvenate at Massaggio Californiano. To find maps, reviews, photos, and other tourist information, refer to the Bologna journey planner. You can take a train from Florence to Bologna in an hour. Alternatively, you can drive; or take a bus. October in Bologna sees daily highs of 22°C and lows of 13°C at night. Wrap up your sightseeing on the 4th (Tue) early enough to drive to Venice. On the 5th (Wed), take a stroll through Dorsoduro, then steep yourself in history at Ponte dei Sospiri, then admire the landmark architecture of Doge's Palace, and finally contemplate the waterfront views at Canal Grande. Get ready for a full day of sightseeing on the next day: take in the views from Ponte di Rialto and then kick back and relax at Bagni Alberoni. To see maps, traveler tips, photos, and tourist information, read our Venice travel website . Drive from Bologna to Venice in 2 hours. Alternatively, you can take a train; or take a bus. October in Venice sees daily highs of 22°C and lows of 12°C at night. Wrap up your sightseeing by early afternoon on the 6th (Thu) to allow enough time to travel to Barcelona. Kick off your visit on the 7th (Fri): pause for some photo ops at Casa Batllo, kick back and relax at Barceloneta Beach, and then take a stroll through El Barri Gòtic. On your second day here, look for gifts at Vom FASS Barcelona, then stroll around Parc Guell, then admire the landmark architecture of Basilica of the Sagrada Familia, and finally pause for some photo ops at Casa Mila - La Pedrera. To find reviews, traveler tips, other places to visit, and tourist information, use the Barcelona trip itinerary maker tool . Fly from Venice to Barcelona in 5.5 hours. Alternatively, you can do a combination of train and flight; or drive. In October, Barcelona is somewhat warmer than Venice - with highs of 26°C and lows of 18°C. Finish your sightseeing early on the 8th (Sat) so you can travel back home.